While law school certainly is regarded as a prestigious preparation for an impressive career, it comes with a hefty price tag attached. To put it in perspective, the average cost of attending law school can be between $45,000 to approximately $60,000 per year, or even more for the top colleges. Most law programs usually last for three years. Apart from the core tuition expenses, potential applicants also need to consider the costs of books and educational materials, transportation, meals, and housing. Consider it from another angle. Assuming that a law student graduates and immediately gets a full time job, if they put their entire salary towards paying school debts, it would take three to four years. When applying to law school, it is crucial to consider all the aspects and first decide whether law school really is for you. 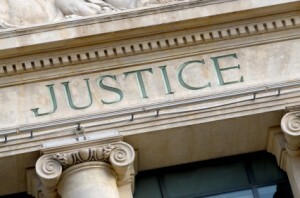 Those who are indeed committed to entering the law profession can finance their education in several different ways, including scholarships and other types of financial aid. After accepting an offer from a law school, it is helpful first to meet with a counselor at their financial aid department. These counselors will discuss all the possible types of financial aid in further detail and help students to find the best options for their economic situation. The best way to finance a law education is to try to do it while incurring the least amount of debt as possible. Debt comes with interest, which essentially increases the education costs. The first resource for financial aid is to look within the institution itself. Law schools typically offer a host of scholarships and grants for students who meet certain criteria. This can include high grades, volunteer participation, race or ethnicity, financial status, and more. Research these in detail and apply for all that you might be eligible for. Another source of financial aid is local or even national companies and organizations. For example, check for grants offered by law associations, cultural groups, or organizations related to law education for young people. Students should also discuss their financing options with their parents. Some companies offer scholarships and other types of education financial aid for their employees’ children. If this is available, it can help the student to offset a portion of their tuition fees. Some parents may also choose to help their children by paying a portion of the school fees. Many students also opt to take financial aid from the government in the form of a loan. However, keep in mind that this results in a high level of interest, which only adds to the already high level of debt. Working while going to school is an option that is viable but should be considered carefully. 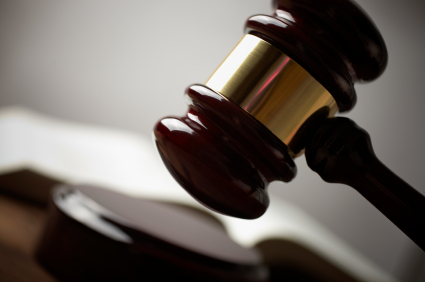 Law school usually involves an average of thirteen hours of classes each week. Factor in time for studying, research, and working on assignments, and it adds up to approximately 50 to 60 hours each week that are dedicated to education. Those who can still find some time to work can do so if it does not affect their grades negatively. Typical student jobs involve bartending, restaurant work, lifeguarding, and babysitting. Try to find other jobs based on campus so that it is easier to go to work after classes. This might include working at the gym or library or becoming a teaching assistant. An alternative is to work full time during the summer months, so that the school year can be dedicated to only study. If none of these options are appealing, a work-study program might fit the bill. In this scenario, students spend part of the academic year in classes, and the rest working in a career-related position at a company. They are paid and may also receive school credit for the work that they do, since it is akin to on-the-job learning. Although law students often struggle under the strain of the education costs, the burden can be less with enough advance planning and saving. Students who are committed to working in a law career will find that the extra time and effort certainly do pay off in the long run. 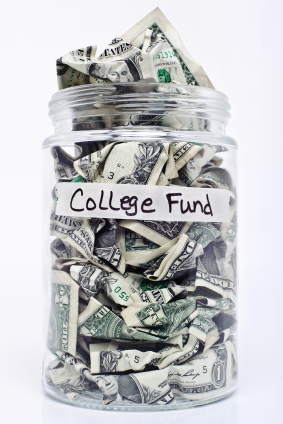 Make sure to thoroughly research all of the available options before deciding on a financial aid plan. 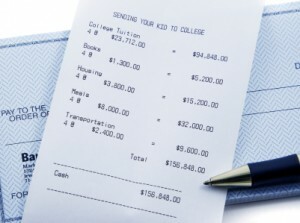 Paying for college can seem like a daunting task. However, whether your family is affluent, middle class, or has limited means, there are many appropriate avenues for you to contribute to your own college finances. The more effort you put forth into finding your own college financial strategy, the easier it will be for you to minimize debts going into your post-graduation life. This will help you achieve your desired career trajectory more quickly and give you the chance to develop the lifestyle you would prefer to enjoy. Difficult as the task may seem, don’t give up! 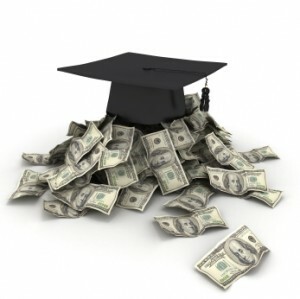 This article will provide you with many leads to help you pay for school. The objective here is for you to achieve your academic goals without having to go broke in the process! The first step toward any major purchase is to save money, and this is equally true when you are working toward preparing for college. The more hours of work you bank in your high school years, the more money you will be able to devote toward your college expenses. This not only gives you the opportunity to pay down tuition and textbook costs, but can also help you with luxuries such as an off-campus apartment, if you find that such an arrangement meets your needs. The jobs you will qualify for at this stage are anything but glamorous, but the cumulative effect will not only help your financial outlook, it will also prepare you for the hard work of college. You might consider getting a savings account or another interest-bearing bank account to help you. Confer with your local bank or an expert to find out what options are the most monetarily beneficial. The federal government provides a variety of financial aid options. Most of these options are need-based, meaning that the level of aid you qualify for is based on your or your parents’ finances. Even if you do not feel that you will use federal financial aid, it is still a very good idea to fill out the Free Application for Federal Student Aid online. This application is typically due in April of every year, so it is important to get your taxes done in a timely manner if you are working. If you intend to continue receiving federal financial aid throughout your college years, you will be expected to fill out your FAFSA application and update it once each year. Remember, the more economical the school you choose, the less aid you will require in a given year. Competitive scholarships are available that pertain to many different interests and skills. 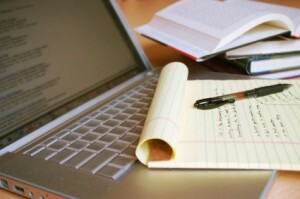 A large number of scholarships provide the opportunity to qualify for a cash prize in exchange for a good essay. These scholarships will give you the time to practice the writing skills that you will need to excel in college. Many of them are highly competitive, offering only a single cash prize among a pool of thousands of applicants. This means it will be necessary to scout out different scholarships and apply to several in order to have a higher chance of receiving a prize worth a few hundred or even thousand dollars. There are scholarships of this kind available for high school students and college students at every level. There are even scholarship possibilities available in one’s local community. Some of these may be competitive essay scholarships, while others might be merit-based. “Merit-based” scholarships are awarded based on your current level of academic performance. Because fewer applicants have the opportunity to qualify for such scholarships, they can be a good fit for academically talented young people. To find local scholarships, check with organizations such as the nearest American Legion or Rotary Club. You can also check with local and national businesses that have locations in your area. Many major corporations operate charitable foundations that provide scholarship assistance on a competitive basis. If you plan to work while in college, your employer may offer you some type of tuition assistance. Inquire with your Human Resources department if you believe this to be the case. Financing your education can be a challenge, but you should never give up on your academic dreams because they seem difficult to reach. By taking concrete steps to achieve your goals, you will be more likely to find a combination of approaches that will help you pay for the college or university you wish to attend. The diligence, perseverance, critical thinking and hard work that you invest in this effort will serve you well when it comes time to reach your potential in your college classes. 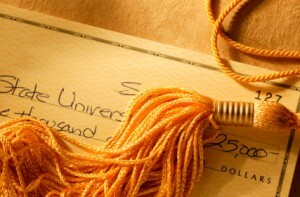 Financing your education, like graduating from college, is a marathon rather than a sprint. Set realistic goals, but aspire to do everything you can to pay for college without going into debt. The hard work you do now will be worth it in the future, and you are sure to benefit from it for years to come, no matter where your college adventure takes you. Would you like to find out more about financial assistance programs? Click any of the links below. Free Application for Federal Student Aid: This online application is required in order to qualify for most forms of federal financial aid. It gathers information on your financial background and your college plans, and should be updated by April each year. Federal Student Aid Publications and Materials: This site serves as a central clearinghouse for federal government publications pertaining to financial aid. You can find information on a wide variety of federal programs by using this site. The Fulbright Scholarship Program: Named after United States Senator J. William Fulbright, the Fulbright Scholarship Program is operated by the U.S. Department of State and is active in more than 155 countries. It offers approximately 8,000 grants per year. Saving money for college is hard enough, but once you’re a student budgeting your money can become more difficult than you may think. With so many temptations out there as a college student it can be hard to save your cash as well as be able to pay any bills that may come your way. Even those students who like to party hard can still learn how to budget themselves accordingly so they can avoid money mishaps. With a few simple changes in lifestyle, college students should be able to stick to a budget and still be able to have fun with their friends. As a college student it can be difficult to save money in order to pay for things like food and other necessities; and the temptation to spend on non-necessities is everywhere. But there are a few things you can do, however to save your cash for the things you need. First, limit the number of dinners you eat on things like ordering pizza and hitting up fast food restaurants. Instead, buy groceries and prepare your meals at home or at your dorm. If you have roommates, maybe everyone can pool some money together weekly for food and you can share meals. Credit card companies often prey on college students by offering them freebies and guaranteed approval. 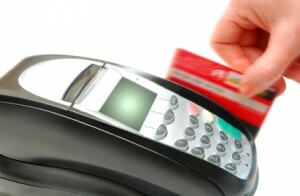 Avoid getting a credit card or have one for just emergencies – try to pay for most things in cash. If you live on campus, you can usually walk or bike to class and other places. Not having a car is a definite money-saver. Carpool with friends if you plan to go somewhere farther off-campus. Write down a list of the things you need to buy on a weekly or monthly basis, and then add their costs up. This will give you a clearer picture of where your money goes and what you need to save for. Try to avoid going out on weeknights, as this can be expensive. Your wallet and your body will thank you! Save your extra money and make plans to go out once in a while with friends rather than every other night. Track your money and balance your check-book and you’ll be surprised at how much money you spend versus what you can save. Trying to be a full time student and make extra cash can be challenging, but there are many opportunities out there for students where they can make some extra cash. Check with your college and see if they’re hiring internally. Most schools have jobs available for students that will work around their busy schedule, which makes it much easier for you to balance work and study time. Aside from a part time job, you can also use your creative skills to make extra money. If you are a writing or photography student for example, there are many freelance job opportunities out there that can help you make a few extra dollars. You can also look for internships that may be available. While some internship programs are unpaid, there are some that do pay, and it will be a great addition to your portfolio and resume. 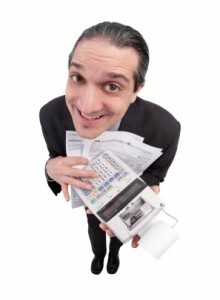 Once you’ve determined how you will make extra money, it is important to then hang onto it and not spend too much. Create a savings account or even an IRA while you’re young, and then allot a certain amount of your paycheck to go towards it each month. You’ll be surprised how quickly that money adds up. This not only teaches good budgeting skills, but it will also make life easier when you need to pay your bills, buy some food, or plan a night out with friends. Budgeting While You’re In College – This article offers some good suggestions for college students and how they can budget. How to Manage a Budget While in School – Use this helpful worksheet to assist you in creating your own personal budget. 118 Ways to Save Money While in College – This list has plenty of great tips to help you save money while in school. The Budget Pig – This series of videos explains how college students can create and stick to a budget. How to Create a Budget for Your College Student – Here is a helpful guide for students and parents to use for creating a college student budget. Student Budget Calculator – Use this interactive calculator to help you create a budget you can stick with. 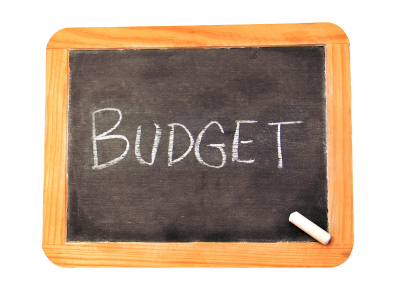 Establishing a Budget – This article gives some excellent advice on how to start your own budget. Tips for Living on a College Student Budget – These helpful tips can guide you through living your college years on a budget. 18. @intstudentloans – International students or students interested in studying abroad could learn a thing or two from these tweets. Stay up-to-date on the types of student loans that are available in different countries. On August 4th, the U.S. Government Accountability Office (GAO) published a report which unleashed a storm of controversy surrounding recruiters at for-profit colleges. In the study, government investigators posing as students were sent to 15 randomly selected for-profit colleges and reported that they were given misleading and/or false information about program costs, quality and graduation rates. The colleges were randomly selected according to whether they received 89 percent or more of their total revenue from federal student aid, or whether they were in a state that was listed as one of the top 10 recipients of Title IV funding. The GAO report defines for-profit colleges as “institutions of post-secondary education” that are either privately owned, or owned by a public traded company. The report also states that their net earnings tend to “benefit a shareholder or individual.” Approximately 1.8 million students have been lured to for-profit colleges because of their online courses and open admission policies. In 2009, students who were enrolled at these colleges received more than $4 billion in Pell Grants and over $20 billion in federal loans which were provided by the Department of Education. But apparently the “scale and scope” of these colleges has changed during the past few years; originally they offered certification programs such as cosmetology and business administration, but now the report states that they have “expanded” their programs to bachelor’s, master’s and doctoral level programs as well. The report also states that students who were enrolled at for-profit colleges are more likely to “default” on their federal student loans than students from other colleges. (The average annual tuition at for-profit colleges in 2009 was approximately $14,000, while the annual tuition at community colleges was around $2,500). Because of this, students who enroll at these colleges tend to have more problems with their credit record which in turn harms their chances of applying for auto loans, mortgages and credit cards. Due to Federal statutes and regulations, colleges and universities are required to provide information about their graduation rates if it is requested. However, at 13 out of the 15 randomly selected for-profit colleges, undercover applicants were given false or misleading information about the school’s graduation rates. Also, nine out of the fifteen schools did not provide their graduation rate information either in person or online, and four out of the thirteen colleges did have information on their websites, but the GAO reports that it was quite difficult to find. One investigator pretending to be an applicant reported that recruiters from three different colleges told him to lie about his savings so he would qualify for financial aid. Another undercover applicant reported that recruiters used “high pressure marketing techniques,” by scolding the applicant after she stated that she wanted to speak to a financial aid representative before enrolling; in another case two representatives grilled the applicant about his “commitment level” for half an hour. Paying $14,495 for a computer-aided drafting certificate was “really low.” (The GAO reports that completing the same certificate at a nearby public college costs approximately $520). If you recruit other students to our school you could win an MP3 player or a gift card to a local store. Signing an enrollment agreement doesn’t necessarily mean that you are legally binded to the school. Community colleges force students to take classes that may not be helpful for their career. For the past month the Internet has been abuzz over the PayScale study that attempts to quantify the value of a college degree. Francesca Di Meglio, writing for Bloomberg BusinessWeek.com backed a position that is now seeing growing national support: College: Big Investment, Paltry Return. Not too surprisingly, many of the most expensive, private colleges do in fact produce outstanding return on investment or ROI (see accompanying chart of the top 10). Whether it is MIT, Notre Dame, Harvard, Harvey Mudd, Dartmouth, Princeton or Stanford, students completing a bachelor’s degree program at these elite schools can expect rates of return topping 12 percent. But the Payscale data has led many other publications to take less productive schools to task. One, BusinessInsider.com, tackled the mismatch between a school’s quality ranking and its position in regards to return on investment. The list of the 20 Prestigious Colleges That Offer An Ugly Return On Your Investment, included some of America’s most highly-esteemed schools: Oberlin, Rutgers, UNC Chapel Hill, Middlebury, Wellesley, University of Wisconsin (Madison), Wesleyan, University of Michigan (Ann Arbor), Johns Hopkins and the University of Chicago. BusinessWeek.com also produced the 20 Colleges With High Tuition, Low ROI, i.e. those schools charging a pretty penny but whose graduates do not earn seven figures. That list featured the likes of Franklin Pierce University, Lesley University, Philadelphia University, Rollins College, Sacred Heart University, Roger Williams University and Skidmore College. Needless to say, those high on the list were pleased with their standing and could offer many reasons why their institution obtained such lofty numbers. On the other hand, spokespeople for those on the lower end of the rankings questioned the validity of the process and the data. To come up with their rankings, PayScale examined pay reports from 1.4 million graduates of U.S. colleges and universities that did not have an advanced degree. In addition, when calculating college costs, PayScale did not assume a graduate earned his or her diploma in four years. Instead, they took the actual number of reported years it took a student to graduate from each institution to compile the costs of college. In addition, PayScale also attempted to take into account those who attended school yet never graduated. The entire analysis is explained on the PayScale site. That analysis includes the usual statistical jargon and depending on the institution PayScale reports a margin of error on the 90% confidence interval of just 5 or 10 percent. The attempt to quantify the results however is extremely interesting as the rate of return on investment is a concept everyone can relate to. Going back to Di Meglio, she notes that the S&P 500 Index averaged about 11 percent a year in returns. The idea is simple, in far too many cases, students would have been better off investing the cost of college in the stock market.Thirty years later, they would have had a better return on their investment and would be able to add to that return all the money they earned from putting their high school diploma to work. Of course, the very nature of the PayScale survey data, the idea of trying to quantify the value of a college degree in dollars does not address any of the other benefits of a college education. Whether it be the critical reasoning skills, the amazing experience or the values of an educated populace, there are many other ways a college degree has value. But it is imperative that students understand fully what the overall return on a college degree will be. Only then can one assess the costs associated with that degree. When taking out the rhetoric and the defensiveness, there are five key lessons from the PayScale survey. One reason for a potential low return on investment is most definitely one’s career choice. A focus on liberal arts, teaching, social services and other similar academic majors lead to careers in lower paying occupations. In contrast, graduates who go into careers in engineering and science have an enormous advantage when it comes to potential career earnings. It is for this simple reason that a school like Harvey Mudd would produce a great monetary return whereas a small liberal arts college like Skidmore would produce a lower ROI. Ones career choice is critical in terms of both job satisfaction and earnings, most particularly in that order. When looking at ROI, be sure to carefully examine schools based on both elements. The best way to make your return on investment high is to minimize the costs of your education. And one of the most critical factors is to stay on task and complete your program in four years. Taking five or six years to complete a program means 25 to 50 percent more in costs as well as one to two years less time earning a paycheck. 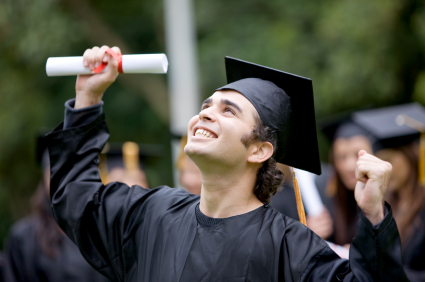 Keep your nose to the grindstone and remember why you are attending school – to earn a diploma. But as much as it means to finish in four years it must be said that finishing is critical as well. Nothing is worse than shelling out tens of thousands or a hundred thousand dollars plus only to be applying for jobs with just a high school credential. Given that the highest rates of return were in the 13 to 14 percent range we can truly see that borrowing for school is a net negative. Remember, only 88 schools out performed the market and returned 11 percent plus. Imagine now when you factor in borrowing money to pay those college costs. Such a step raises your cost of attendance significantly when the interest rate on loans is factored in. And nothing is more important to understand than borrowing for one of the lesser paying occupational fields is truly bad practice. It might make some sense to borrow for a career in engineering but it makes almost no sense to borrow funds if you plan to enter the teaching profession. While those elite private schools sat at the top of the ROI list, many public schools proved to be equally good values even while being far cheaper to attend. But the key is to look in state as most often the ROI fell a couple of percentage points when factoring in the additional costs for out-off-state students. Cal Berkeley, Cal San Diego, UCLA, and Cal Poly; the Universities of Florida, Washington, Delaware, Wisconsin, North Carolina, Illinois, Michigan, Maryland, and Virginia; other well-known public schools like NC State, James Madison, Purdue, Texas A & M, Virginia Tech, and William and Mary; and the surprises like the Colorado School of Mines, the Georgia Institute of Technology, St. Mary’s of Maryland, Binghampton and the Missouri University of Science and Technology. Once again though we can see that career major choices matter greatly by examining the schools in the above list. And a further examination of the PayScale list will provide a number of schools you should think twice about attending. The PayScale survey examines only data for those with a bachelor’s degree as their terminal degree. Many experts indicate that a bachelor’s degree is essentially the 21st century equivalent of the 20th century high school diploma. The recent Georgetown University Center on Education & the Workforce indicates that advanced and professional degrees are more likely the factor today for a serious ROI. According to the Georgetown study, the gross lifetime earnings for someone with a professional degree is nearly $4.7 million. So if the goal is truly to increase earning potential, we can add the concept of pursuing an advanced degree to that of ones choice of major. In fact, we might say that if you are thinking about going to college, you should be thinking about more than a bachelor’s degree from the very start. By now you are no doubt familiar with the story of Trina Thompson and her lawsuit against her alma mater, Monroe College. The blogosphere has been abuzz since Kathianne Boniello of the New York Post broke the story. The Digital Student over at GoCollege offered some support for her plight. They noted that tiny Thomas College in Waterville, Maine, actually makes a promise to its grads, one that Monroe does not: a job or else. But most were merciless in their criticism of the 27-year-old. Robbie Cooper at UrbanGrounds gave her “The Idiot of the Day Award” while Ryan at RightJuris dissed her even as he stood up for the legal profession noting that Thompson had to file the suit herself, the insinuation being that the case was so frivolous that no one in the legal field would touch it. Given some of the absurd suits that have been filed we tend to believe her when she simply says she filed it herself because she could not afford a lawyer. Whatever the case, therein lies the rub. Everyone in the blogosphere has an opinion of the information-technology graduate. Trina Thompson is now a household name on the web. Today, if one uses any search engine of note and types in the name Trina Thompson, pages and pages emerge. Many with unflattering titles, many more mentioning the anger she feels as a result of her plight and all highlighting the fact that she has chosen to blame her school for her failure to acquire a job. Irrespective of the merits of her lawsuit, Thompson now faces more difficulty than she could have ever imagined. Anyone involved in the process of hiring someone for a professional position will thoroughly check a candidate’s references. Not only will phone calls made and questions asked of all listed references, many employers will try to determine the inside scoop by contacting someone else that may have knowledge of a candidate but is not listed as a reference. However, the Internet has brought new meaning to the term reference check. The time has come when virtually all potential employers add one other simple process: Googling a candidate’s name. The availability to readily access information on the web about a candidate has created a whole new phenomena called personal branding. It is a concept every high school and college student needs to become aware of and breaks down simply: it is extremely important that when your name is Googled, positive information comes up. The last thing you want to have happen is for that search to yield information that would cause an employer to think twice about offering you a job. If Ms. Thompson was truly searching hard for work before but was coming up empty, her decision to file the lawsuit has likely become her kiss of death. By virtue of her actions, she has created the ultimate red flag for human resource offices. No employer wants to hire someone that appears willing to sue others in a fit of anger. Unfortunately, the filing of this lawsuit led Trina Thompson down a path in which she lost control of her personal brand. And given the nature of the Internet that will follow her the rest of her life. The Value of a College Degree – Truly Priceless? Borrowing from a popular credit card commercial format, we toss out a longstanding fundamental belief about higher education. In general, most insist that you simply cannot put a dollar figure on a college diploma. It is truly a priceless commodity leading to greater future earnings and a better chance to pursue something one truly loves as a career option. That said, in recent years, eyebrows have been raised. College costs have been soaring and critics have begun questioning the value of a college diploma. For years, the generally accepted figure associated with earning a college diploma has been $1 million. Those calculated additional earnings a college graduate earns in his lifetime above and beyond of a classmate with just a high school diploma continue to be used as the rationale for earning that coveted diploma. However, that generally accepted $1 million figure has recently been called into question by a gentleman named Charles Miller. According to his analysis, the value of a college diploma may actually be significantly less than the popular dollar figure generally tossed around. Miller, the former head of the Commission on the Future of Higher Education, raises some interesting dialogue with his set of calculations. He, in sum total, insists that higher education just might have gotten too expensive for what it produces and is certainly too costly for the typical student. To arrive at that conclusion, he first insists that the calculation procedure used to determine the $1 million figure contains too many false assumptions. For example, Miller rails against one fundamental criterion used in creating the million dollar figure. When computing the $1 million in additional earnings, estimates are based on an assumption that students finish college in four years. Miller correctly notes that other college graduation data utilizes six years as the standard for earning a degree. So the first significant way that Miller’s numbers are adjusted is to take away two years of earnings for the average college graduate. Miller also notes two other major calculation adjustments. First, current procedures typically report lifetime earnings in the “present value” of the dollar totals, rather than adjusting for inflation over time. Second, most calculations do not isolate the benefit of those who have only a bachelor’s degree. Using his assumptions, Miller contends that the lifetime earnings differential for a bachelor’s degree over a high school diploma is a much more modest figure: $279,893. 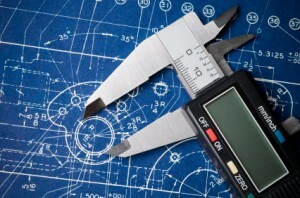 There are numerous folks who insist that Miller has low-balled the calculations. In their eyes, he has done everything he can to reduce the value. Still, the difference is a rather significant number. Certainly, $280,000 in additional earnings is nothing to sneeze at. However, if we do assume that this more modest differential is somewhat accurate, then the current cost of a college degree does raise interesting questions. Four years of in-state tuition at a local university will set a student back at least $60,000, especially if some time is spent living on campus. As a monetary investment that number still seems reasonable. We certainly can advocate spending $60,000 knowing full well we can one day expect to pocket $280,000 as a result. Add in the ability to better control one’s career choice and the investment seems to be a no-brainer. But what of those private schools, of those topping $50,000 per year? Four years of expenses will top the $200,000 mark. Under such a scenario the monetary piece becomes suspect. In such an instance, the rate of return falls to less than 2% return on the money invested if figured on a per year basis. With those numbers it is easy why folks are concerned with the skyrocketing costs of a college education. If the costs keep rising, the rate of return ultimately diminishes. As President Obama has stated on multiple occasions, we must find ways to make college more affordable. Interestingly, Miller’s strong push has at least one agency acknowledging that the $1 million figure may not be entirely accurate. In responding to Miller’s criticisms, the College Board acknowledged that $1 million in additional earnings is misleading. At the same time, the College Board noted a thought many concur with: there is a very high individual return from a higher education. According to the Board, a public college graduate will break even by the age of 33. At the higher priced schools, the private colleges, the Board offers a break even point at age 40. Given those assertions, it is easy to see why education does in fact pay off. Of course, if costs do continue to rise, those pay back ages would rise as well. Pushing them back another ten years would make the dollar return a far more questionable discussion point than as it currently stands. Without a doubt, students must be mindful of the debt they are incurring as they earn that diploma. They must also have an excellent understanding of potential future earnings: a career in social work or a job as a teacher will not necessarily produce additional earnings towards the $1 million mark. At the university level, you will also meet many interesting people and have access to adults who are willing to help you learn new things. Once in the world of work, there will be far fewer people willing to help you become successful. So independent of the financial figures, college can be a great place to learn about you and about society. College is a place where students get a safe chance to mature even as they pursue a degree and a potential career. And if you manage the financial piece appropriately, you can expect the opportunity to earn additional funds even as you work in your preferred field. Just don’t go around thinking that a bachelor’s degree is going to make you a millionaire. Five Steps to Graduating College, Debt-Free! Most people will insist that college cannot be done without some form of financial assistance. That is most likely true for the vast majority of prospective college students. However, the idea that one must borrow significant sums of money to earn that coveted diploma is not entirely true. In fact, it is possible to graduate with little, to no debt if you follow these five basic steps. While it is far more enjoyable to ease through four years of college study with a focus entirely on academics and your social life, the simplest way to minimizing debt is to work when you can. During the summer months look to work two jobs if you can. Not only can you bank significant amounts of your earnings if you set your mind to it, keeping busy during the summer months helps reduce your spending tendencies. The result is a win-win. In addition, plan on working, at least part-time during the school year. Working as little as 6-8 hours a week can produce ample amounts of ongoing spending money. Push it to 12-18 hours and you can actually earn enough money to pay next semester’s fees and book costs. Lastly, research schools that offer co-op work options. Many schools are affiliated with specific industries whereby students can combine work and study options. With such a program, students earn money while working in their desired field or the company receiving work services helps pay a portion of the student’s college costs. After countless hours of preparation, it may seem that your choice of college should be based on prestige. That simply is not the case in the long run. What is true is a diploma from a prestigious school can help you with that first job. But thereafter, your value to any employer will be based on your performance. If choosing a dream college means borrowing then you should rethink your choice. State universities offer quality educational options often at half the price. Beginning your career in a financially stable position will allow you the time to prove yourself. If you accrue significant debt while in school, that debt will impact your career options for years to come, forcing you to choose employment based solely on pay. Research every scholarship and grant option available to you, whether it be from your home town, your high school, your chosen college, etc. Then apply for every one that matches your situation. This is free money, as good as any you can earn, and can go a long way towards reducing college costs. Also, many scholarships and grants are renewable: once you have obtained one, as long as you meet the academic expectations you may well receive the funds for all four years. Be sure to research school-related options that pertain to your area of study. Some may not be available until your third or fourth year of school. As you enter adulthood, you will be besieged by credit card offers. Each will likely offer a free gift in return for signing up. Select one card based on its cash back or reduced-expenditure percentage that makes sense for you. Some cards reduce gas purchases by a nickel a gallon, others offer cash back on all online purchases, still others offer travel benefit options. Select the one card that works best for you and say no to all other cards. Limit your use to those purchases where it directly benefits you; otherwise pay cash to ensure you realize just how much you are spending with each transaction. Most importantly, pay the monthly balance every month. 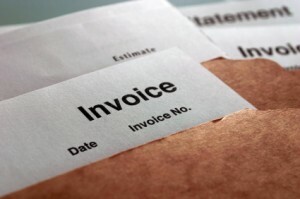 Do not accrue interest or payment fees. Those costs can kill you, putting you quickly into a position where the card expenses are more than you can handle. 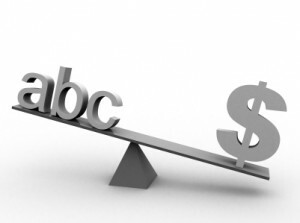 If you cannot discipline yourself to pay off the monthly balance, then cut the card in half and dispose of it. A significant amount of debt accrued by college students is directly attributed to the ease at which credit cards facilitate unwarranted discretionary spending. One of the biggest college expenses is the cost of room and board. Clearly, if you are attending school a significant distance from home, you will need to consider living on campus. But living at home can save you significant sums of money. Many students are taking advantage of their community college network, living at home for the first year or two of study while earning their basic course credits. For those who live near their state college, the same opportunity is available. Living at home will limit the social options, no doubt, but college is first and foremost about earning a degree. Minimizing room and board expenses is an excellent way to reduce the costs of college and helping you graduate debt-free. Earning a college diploma can be the catalyst to a wealth of career options but the debt you accumulate while earning that diploma can greatly impact those options. The best way to ensure your future is to minimize the debt you accrue while securing that coveted diploma. With a little extra effort and a few sacrifices, it is possible to earn a diploma and remain debt-free in the process.